Are they a menace to the environment, or just misunderstood? 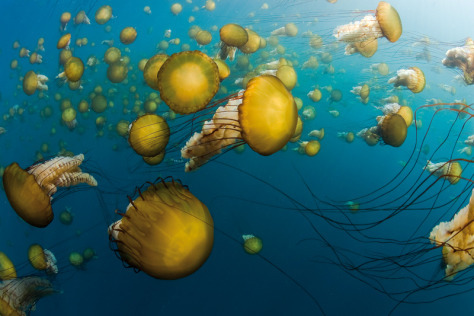 Sea nettles (Chrysaora fuscescens) float in the water of California's Monterey Bay. The nettle's sting is deadly to small prey but not potent enough to kill humans — except in the case of an allergic reaction.